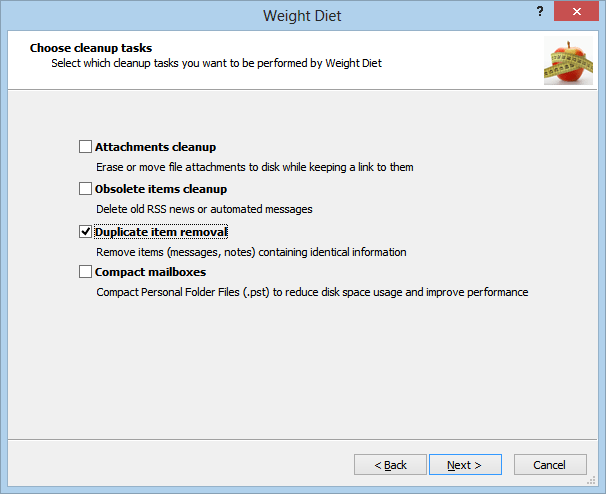 First of all, you need to download & install Weight Diet for Outlook. 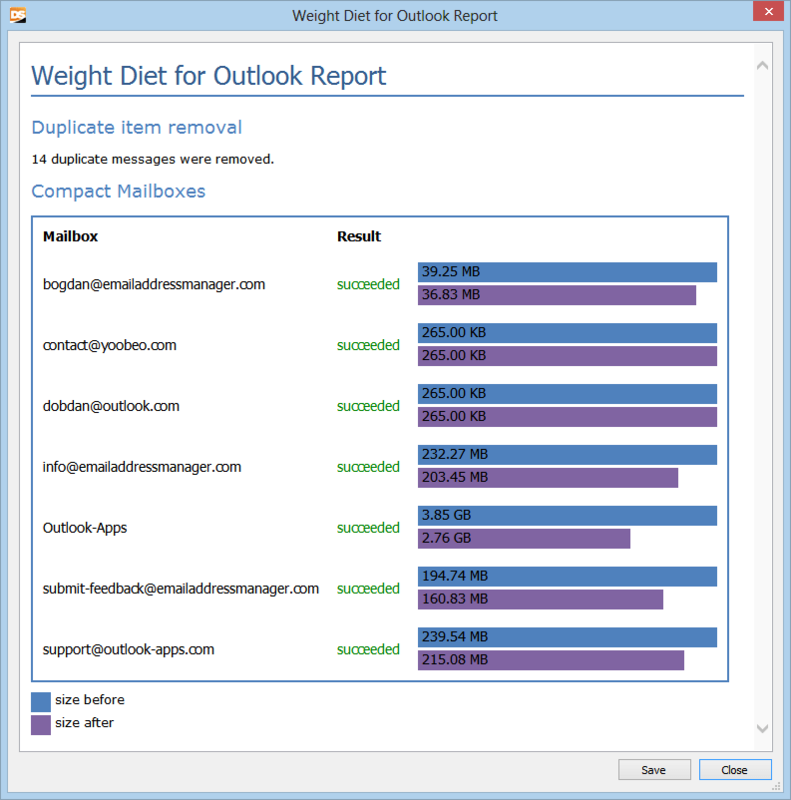 It is designed to work with all Outlook versions, including Outlook 2013. 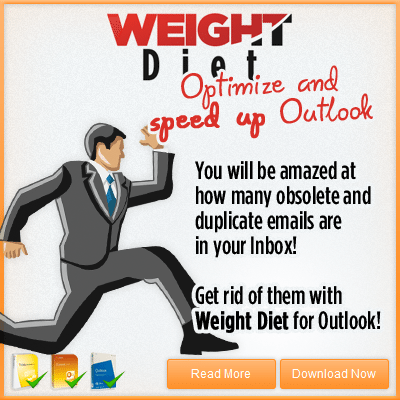 As you will see later in this article, the product is designed not just to remove Outlook duplicate emails, but also to perform other critical mailbox optimization steps and make Outlook regain its lost speed. 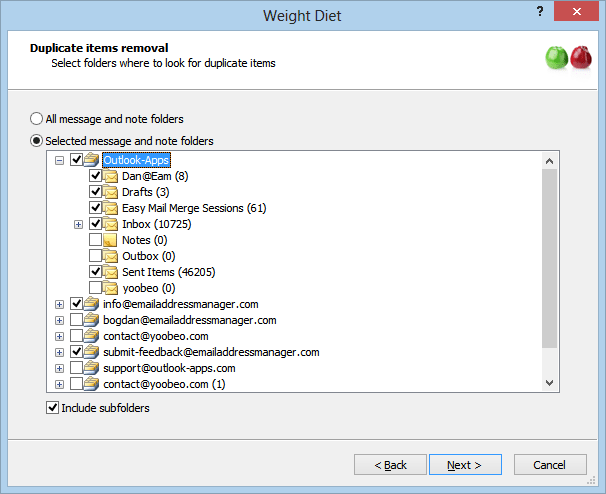 On top of the ability to remove Outlook duplicate emails, Weight Diet also helps you shrink Outlook mailbox files by automatically removing obsolete items (such as mail delivery failures, out-of-office replies, old RSS feeds etc) and by compacting your Outlook data files.